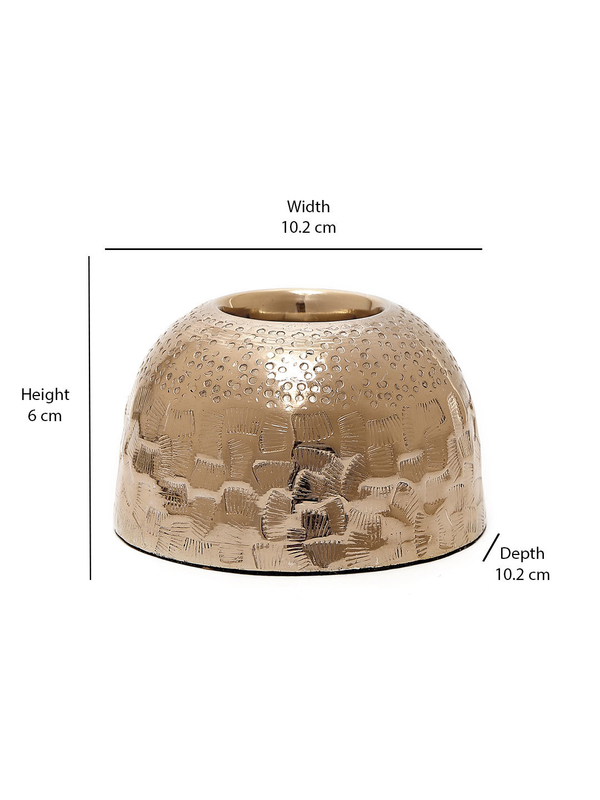 Light up the room with some grace and dignity with the Multi Hammered Tea Light Holder. The dazzling gold gives out a poise and royal look while dispersing immense amount of optimism across the horizon. The plunge on the exterior of the Tea Light Holder gives it a new dimension, enabling it to blend just fine with your contemporary decor. Place it outside your house or at your window, it is sure to light up your world during the festive season while also giving you reasons to celebrate each day of your life.